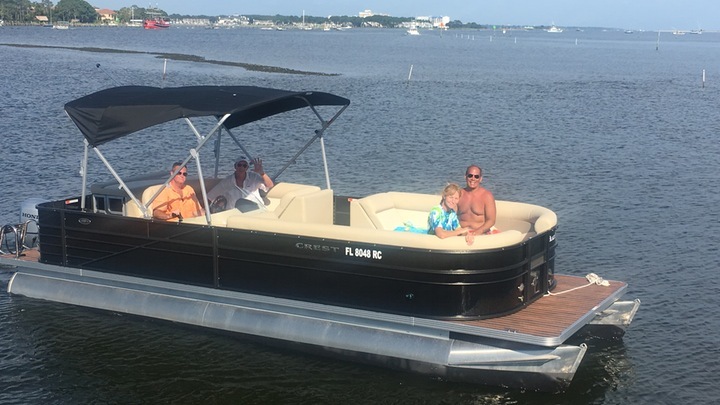 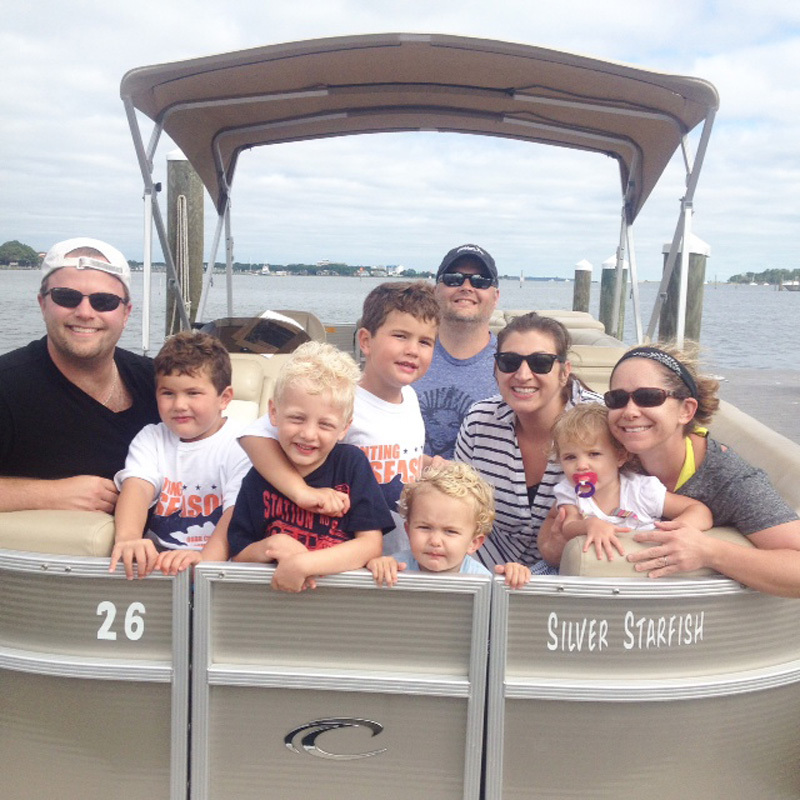 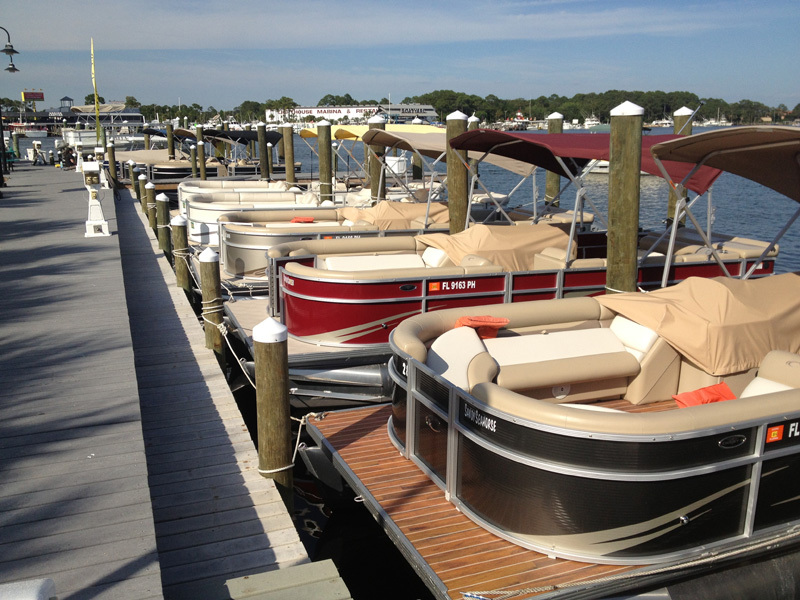 Our Crest pontoon boats are perfect for cruising around the bay side of Shell Island. 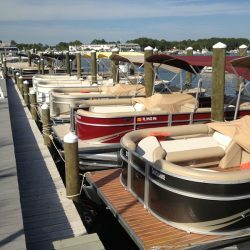 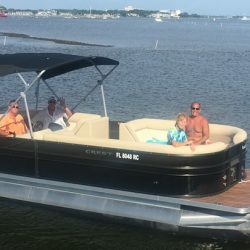 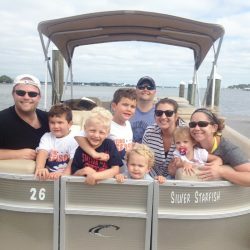 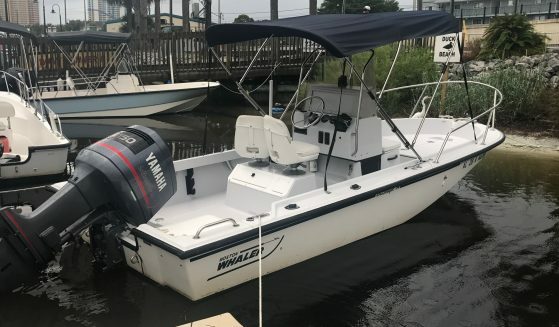 They offer plenty of comfortable seating, and the swim ladder makes re-boarding the boat from the water easy and safe. 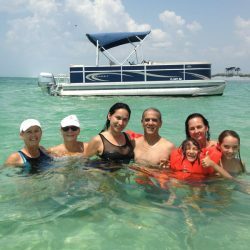 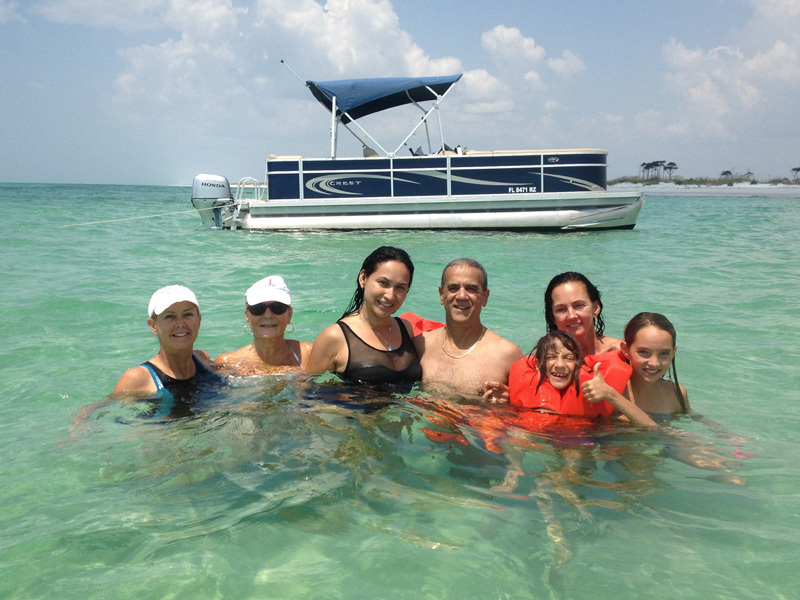 Pontoon boats are great for snorkeling and visiting with the dolphins! 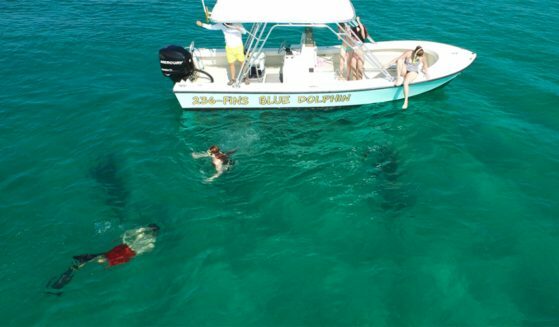 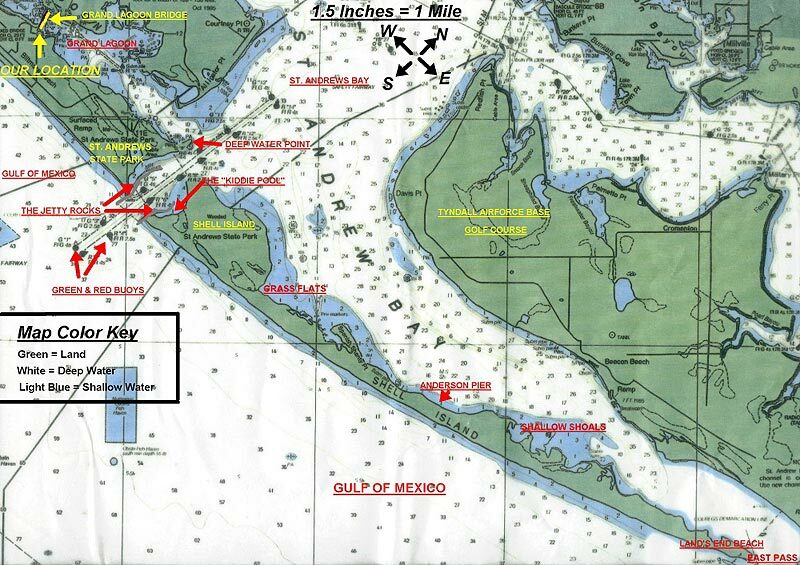 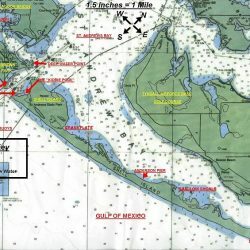 With the east end of Shell Island just 10 minutes away from our rental location, you will have more time to explore St. Andrews Bay, cruise around Shell Island, fish, and encounter the dolphins.